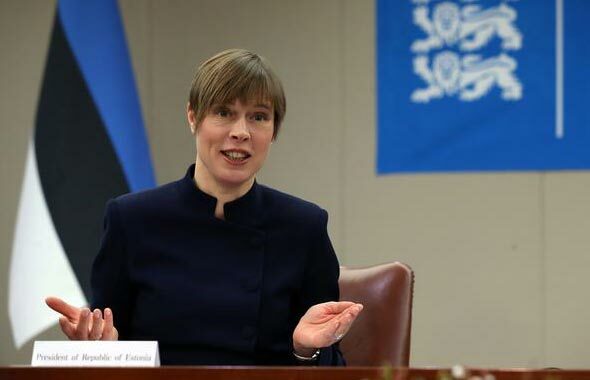 Estonian President Kersti Kaljulaid said the country’s revolutionary digital identity program e-Residency will be a new platform to open the doors to more global talent and entrepreneurship in the era of blockchain, calling for closer cooperation with South Korea in technology and business. “Estonia is fully ready to build a more efficient world through digital innovation based on e-Residency,” said the head of state during a special lecture held at Maekyung Media Group on Thursday during her visit to South Korea with an Estonian delegation to the Pyeongchang Winter Olympics. She included Maekyung in her packed itinerary in Korea because she believes the company’s unique knowledge-sharing initiatives through the World Knowledge Forum are in line with the spirit of the times her administration has pursued. Estonia is the first country to offer e-Residency - a transnational digital identity available to anyone interested in establishing and administering a location-independent business online. In 2014, the Estonian government believed it was time for a true expansion for one of the smallest countries in the European Union, and decided to provide the same e-public services like e-banking transactions and remote company management for anyone in the world. Foreigners can simply fill out an online form, pay 100 euros, pass a background check, and pick up an identification card from an Estonian embassy or consulate. Meanwhile, Estonia’s two honorary e-residency certificates allocated to Korea went to Maekyung Media Group Chairman Chang Dae-whan and Gyeonggi Province Governor Nam Kyung-pil. Chang was chosen as an honorary e-residency awardee in recognition of his leadership to establish the World Knowledge Forum and his contribution to knowledge sharing in the era of the fourth industrial revolution, the Estonian government said.